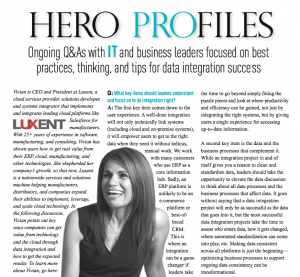 Luxent’s leverages its industry and technology experience along with its LiNK Data Integration tool to help organizations integrate their business-critical solutions. Specifically, Luxent specializes in the integration of ERP with Salesforce. More information on LiNK Data Integration. To read Vivian’s full profile, click here. To access the entire Actian series, click here.